Kriipis Tulo - latvian sound designer and Kolka-Music label founder, has been featured as a keyfigure of the Latvian electronic music scene for producing some of the most essential experimentalelectronic and ambient music of the past years. Formerly known as Bongo in the middle of 90's intimes of famous Riga dance-punk Yaputhma Sound System. In 1996 was founded Ayahuasca -ambient music project. In 1997-2000 he had common projects with several Latvian musicians andsound designers: Ugis Vitinsh, Alexandroid, Spinners, New Plates etc. In 2001 together with djContour was founded Oloolo - electroacoustic music project and analogue electronics sound lab.As a part of Oloolo, Kriipis Tulo was involved in such experimental electronic music events as JazzGiants: Past/Present Riga (2001), Skaņu Mežs (Sound Forest) 2003-2005, Watercolors 2002 andalso Pan Sonic, Phill Niblock and Yoshio Machida live performances in Riga (2002, 2003, 2004). In collaboration with Voldemars Johansons he worked for an audio installation "Gaismas pils",inspired by the project of the New National Library of Latvia of the same name and presented it onthe Architectural biennial NEXT (Venice) and KIMAF 2002 (Kiev). In 2002 completed an EP entitled Ujuja, an estonian for swimming. The album was released in 2004 by Lithuanian net label - Sutemos. In 2005 as sound producer worked on Asnate Ribena short film "Alise". In 2004-2005actively took a part in organisation of ‘MikroStraava’ – the series of post-ambient and microwavesmusic mini-festivals in Riga. Co-project with I/Dex (BY) was established at 2004 and ‘Footpaths ofAutumn’ album was recorded. In 2003-2005 collaborating with Maksims Shentelevs (My-Ym) forlive performances @ Sound Forest festival of avantgarde music and video art, that took place inRiga, Latvia, september 2004 and MOKS Media Art Symposium, Estonia, October 2004. Inautumn 2005 collaborating with the most popular Latvian painter Ritums Ivanovs for videoinstallation "Exposed Paintings" with original music as a soundtrack. Video installation waspresented during the Ritums Ivanovs exhibition "Exposed" at Art gallery "Riga Gallery", November 2005. In 2006 Pavilosta album released by Lagunamuch records. This album is dedicated toPavilosta, latvian little town, Baltic sea.In 2006 was founded Astrowind and Mahi Bukimi has joined to the project. In spring 2008 anotherone soundtrack to the 'Dreamers' - a new exhibition of Ritums Ivanovs, was presented at Artgallery "Riga Gallery". In the spring 2009 Mahi Bukimi has left the Astrowind project by his own wish. 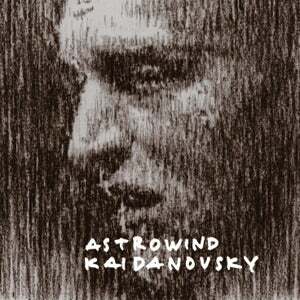 During 2007 - 2012 a few Astrowind's albums and tracks were published by 12Rec., MusicaExcentrica, ElectroSound, Resting Bell, Universal Human Underground, Fluttery Records, Jus tNot Normal, My Outer Space and Kopp record labels. Alexander Leonidovich Kaidanovsky (Russian: Алекса́ндр Леони́дович Кайдано́вский; 23 July 1946, Rostov-on-Don, USSR - 3 December 1995, Moscow, Russia) was a Soviet and Russian actor and film director. His best known roles are in films such as At Home Among Strangers (1974), Telokhranitel/The Bodyguard (1979) and Stalker (1979). Prior to pursuing an acting career, Kaidanovsky attended technical college where he was training to become a welder. Apparently a prospect of becoming a worker did not appeal to him and in 1965 he started studying acting at The Rostov Theatre School and the Schukin Institute in Moscow. Before completing the course he took his first part in the film Tainstvennaya stena (A Mysterious Wall), (1967) and upon graduation in 1969, he worked as stage actor. In 1985 he directed A Simple Death, which was screened in the Un Certain Regard section at the 1987 Cannes Film Festival. Kaidanovsky made his theatre debut at the Eugene Vakhtangov Theatre in 1969. In 1971 he was invited to join MKHAT, the Moscow Arts Theatre, the best classical theatre in Russia, a rare privilege for a 25-year-old graduate. He made his major film debut in Yours Among Strangers and a Stranger Among Yours (1974), and over the next few years appeared in some two dozen films, including the satirical comedy Diamonds for Dictatorship of the Proletariat (1976) and The Life of Beethoven (1980). At his peak in the '70s Kaidanovsky was among Soviet Russia's most popular actors, and it was at this point that famed Soviet director Andrei Tarkovsky, impressed by the looks and the acting technique of Kaidanovsky in Diamonds, invited him to play the title-role in his new film, Stalker (1979). This role earned Kaidanovsky international acclaim.